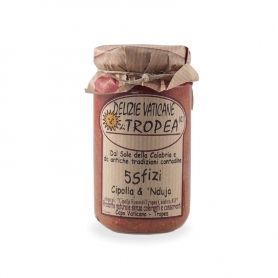 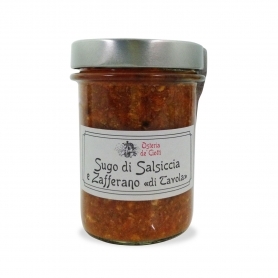 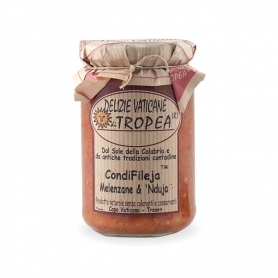 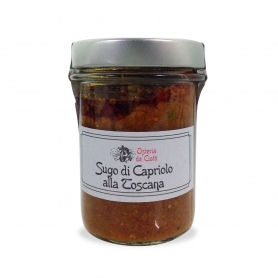 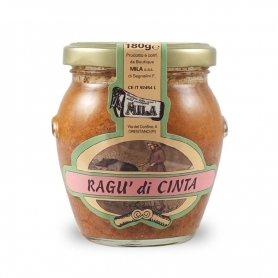 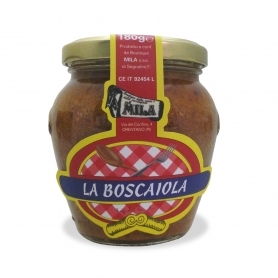 The classic Tuscan meat sauce with beef, pork and chicken with a secret ingredient. 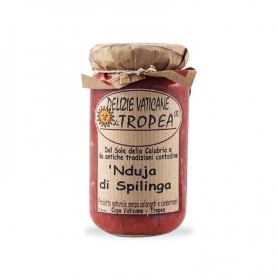 All natural and wholesome ingredients to rediscover the taste of tradition. 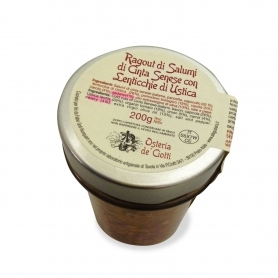 To taste warmed preferibilmento, diluted with broth or water bath. 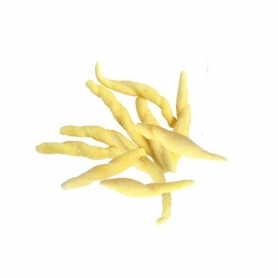 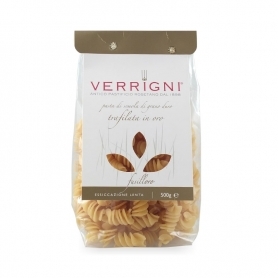 The product is very concentrated and contains no glutamate, flavoring, preservatives or dyes. 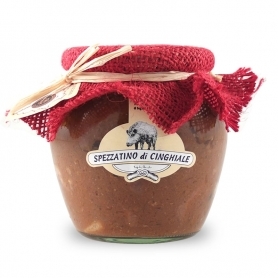 the "Boutique Meat and Venison - Mila" Is a real "Boutique Gourmet" in the heart of the Cerbaie area, in the Tuscan hills. 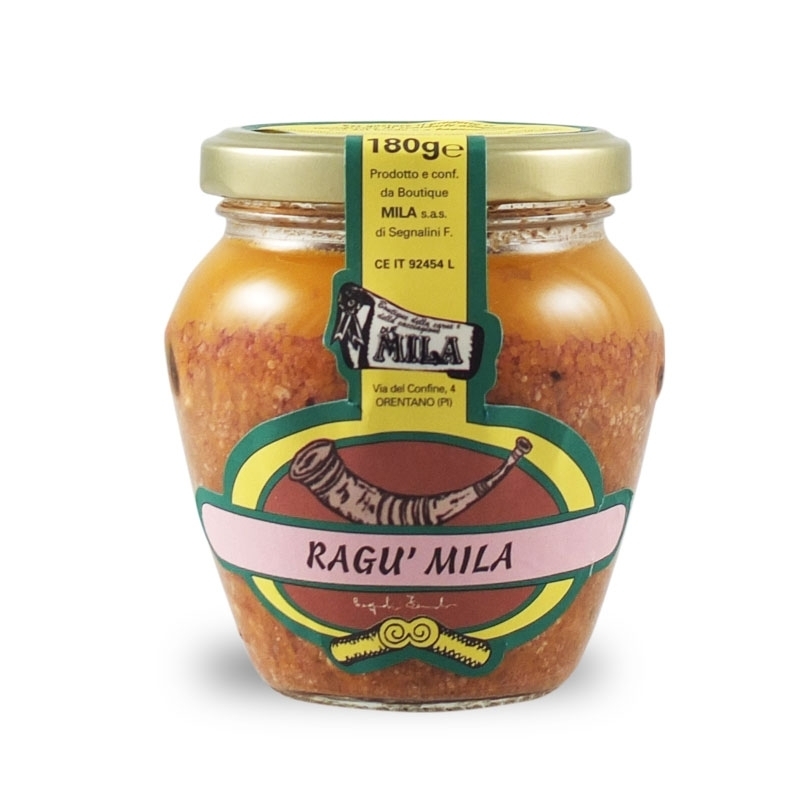 The owners, Mila and Fernando, about 30 years working and dealing with cook the meat of wild game to extract the most authentic taste of tradition and true. 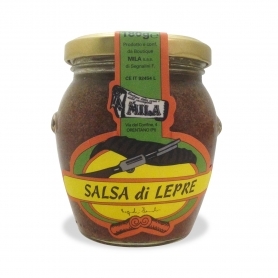 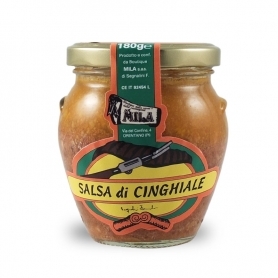 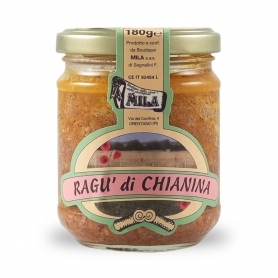 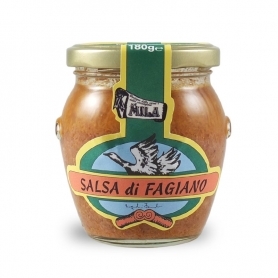 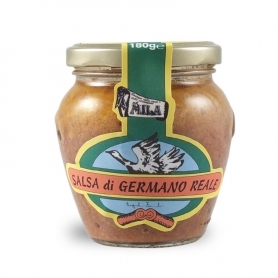 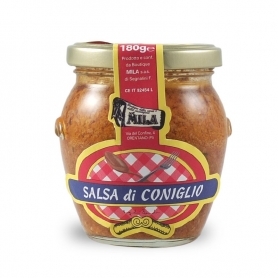 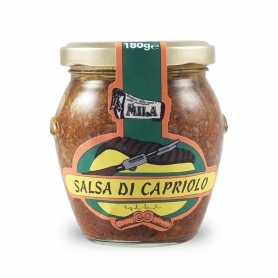 The taste of the sauces of Boutique Mila is very powerful and this is because the game is not breeding but comes from national and the Italian kept parks. 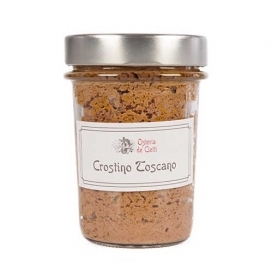 Over time, they then personalized and refined, with their Tuscan touch, tastes, transferring the taste of traditional Tuscan cuisine. 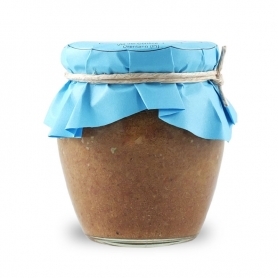 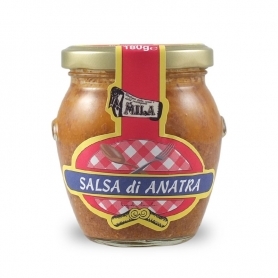 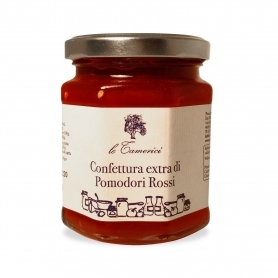 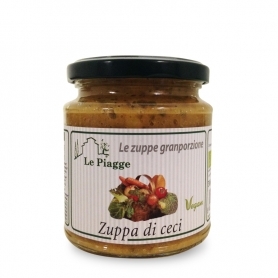 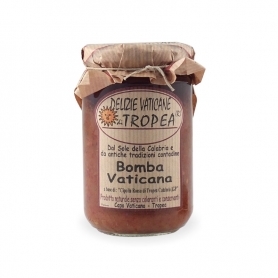 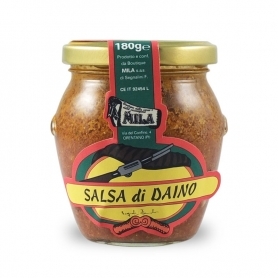 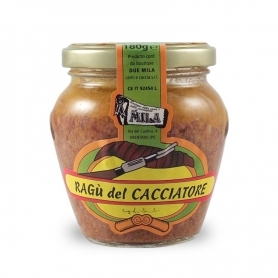 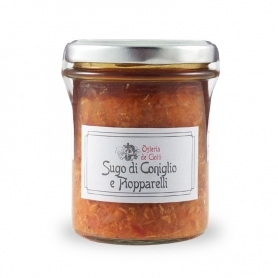 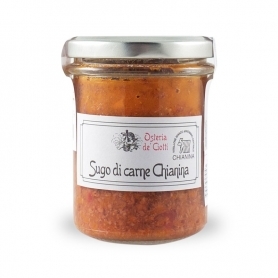 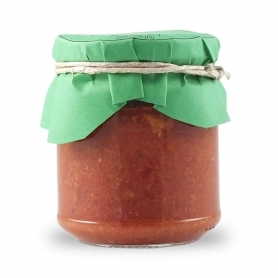 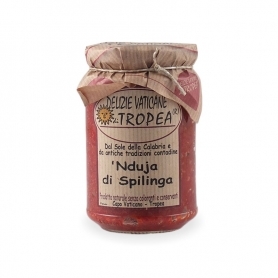 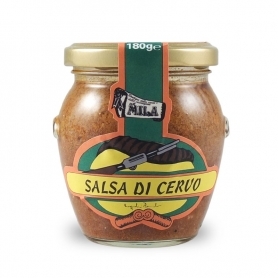 Discover all products in the category "Sauces of meat and game"